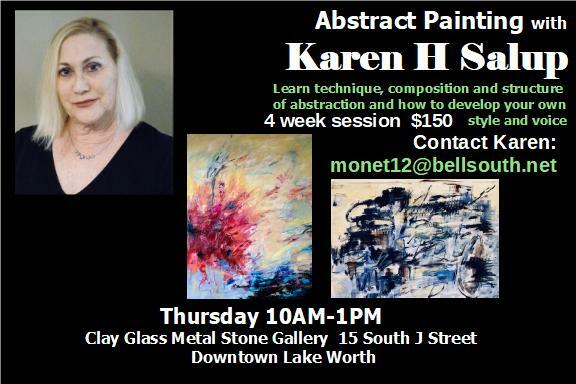 Award winning abstract artist, Karen H. Salup, is offering two workshop options locally: a One-Day workshop on Saturday, March 30 at the Arts Warehouse in Delray Beach and a separate 4 session workshop on abstract painting in Lake Worth at Clay Glass Metal Stone Gallery. This is an opportunity to hone your skills or try something new! Karen will teach you techniques, composition, and how to structure your own paintings! Develop your own style and voice with Karen’s guidance. 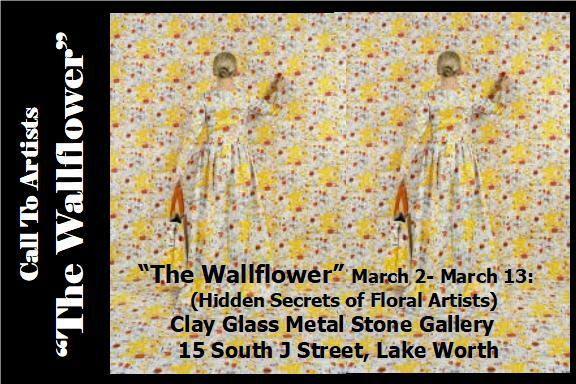 The Rickie Report shares the details of how to register for the workshops and some of Karen’s paintings. 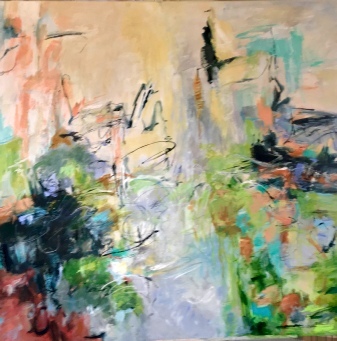 This Fun and Creative workshop where students will explore the free spirit and style of Abstract Acrylic Painting with Karen H. Salup. *Canvas is not required for this class; if student would like to work on a canvas too a 24″ x 24″ is the recommended size. If you have any supplies you would like to bring you are welcome to do so. 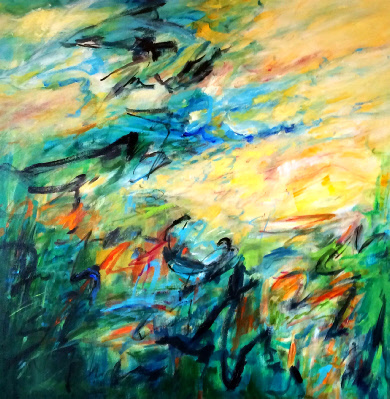 For three decades, Karen H. Salup has been intriguing audiences across the country with her paintings. 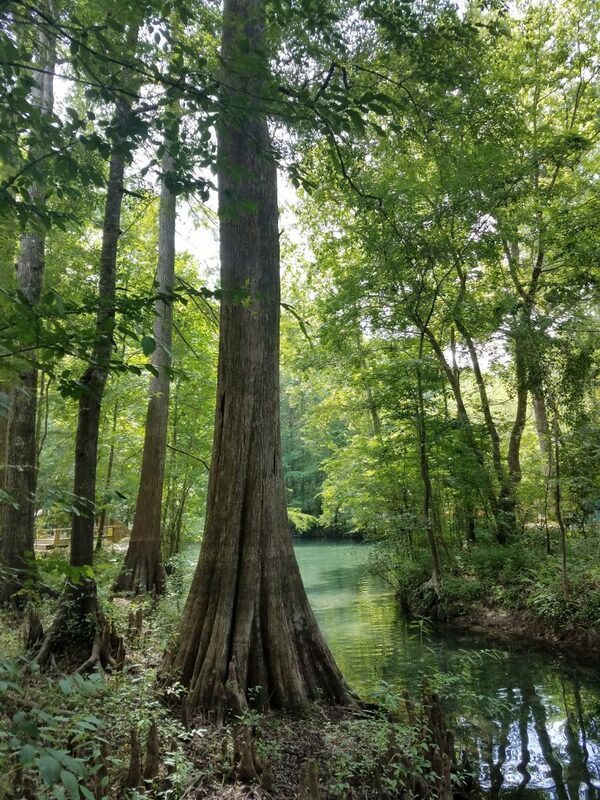 Her artwork has been featured in several galleries and exhibits through Florida and New York, including SOLO exhibits at Viridian and Jain Marunouchi Galleries. 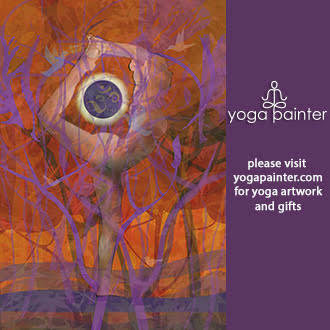 Karen tells The Rickie Report, “As a painting evolves I am composing intuitive images that references lean to nature. There is a vocabulary that I have developed, consisting of visual poetry”. 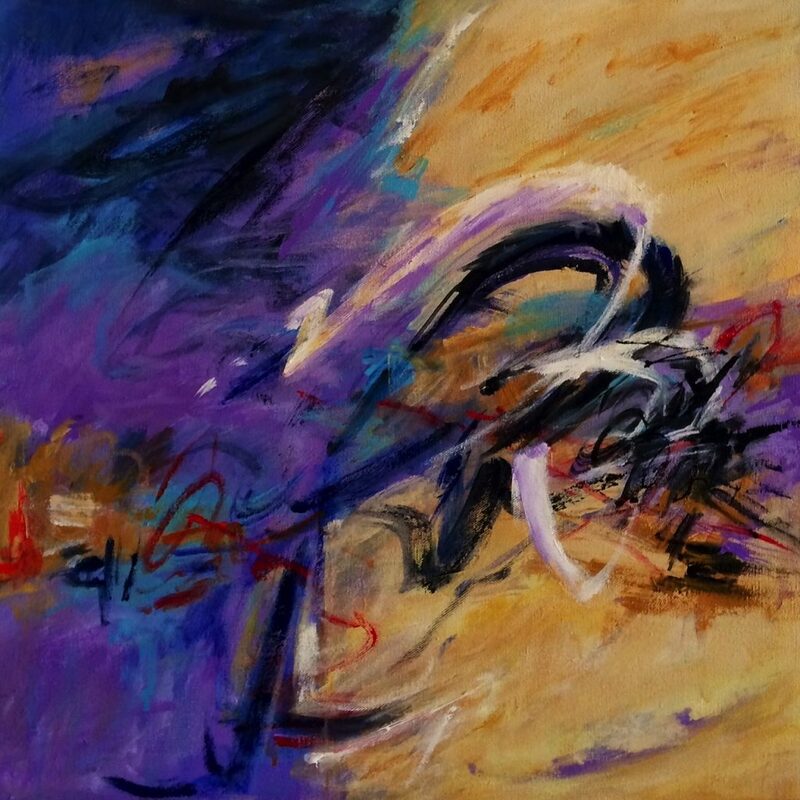 Using acrylic, watercolor, and pastels on canvas and paper, Karen creates a world that vibrates with bold colors and bright light paired with brushstrokes that evoke a strong sense of movement and energy. Her paintings begin with a theme of nature, but invariably evolve into an imaginative creation that invites interpretation from the audience. 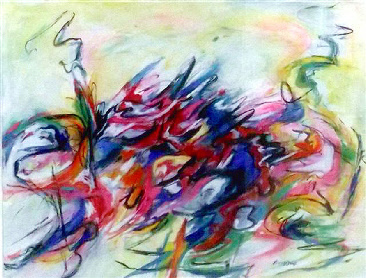 Karen’s work is influenced from Impressionism to Deconstructionism to Abstract Expressionism. She explains, “These terms such as markmaking, brushstrokes and gestures where known as idiosyncratic visual poetry by the Abstract Expressionist movement creating gestures that bring to the viewer; Forms, Texture, Color and Light”. “My work is very much like a process. I find image secondary to the art making. Although abstract in nature, there is an underlying visual order that gradually seems to emerge. Working intuitively, I enter a realm of the unknown where there is more of a calling than any real choice. I seem to be forever altering and adjusting the core of the painting and some invisible reality that appears”. “This self-imposed repetitive process as I build, erase and paint layers becomes a definite chaos through which the work evolves and it seems to return repeatedly to its beginning. With each revival to the surface, there are the mark markings, forms, subtleties and sensitivities that appear in my work”. 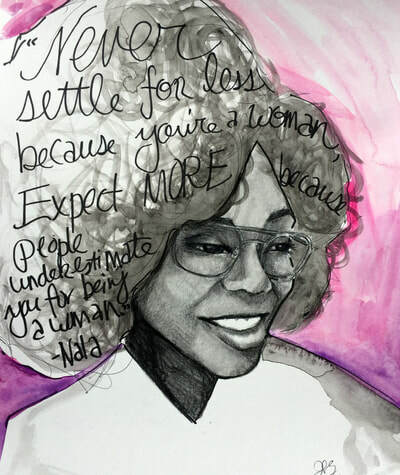 Karen is an active member of the National Association of Women Artists (NAWA), Women in The Visual Arts (WITVA) and the Palm Beach Watercolor Society. 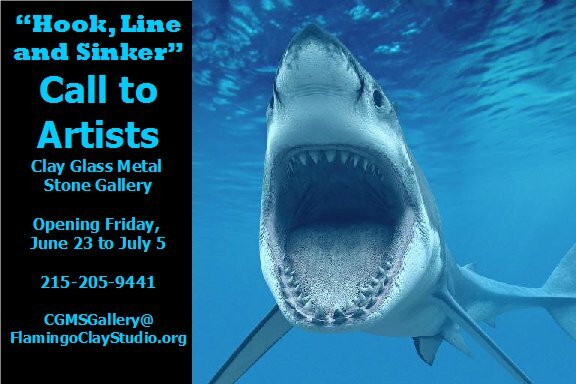 The Palm Beach County Art Teachers Association Members’ Exhibition at Clay Glass Metal Stone Gallery features original art works by the County’s art teachers and community members. The exhibit which runs now until June 13, displaying the individual talent and creativity of area teachers and community members. The exhibition offers PBCATA an opportunity to complete their mission of supporting art education and promoting art as a means of communication for each individual. The exhibition is free and open to the public. The Rickie Report shares the details and some sneak peeks! 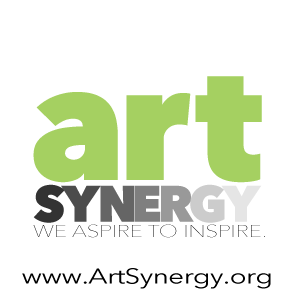 It is the mission of the Palm Beach County Art Teachers Association to support art education and to promote art as a means of communication for each individual. It is the right of each individual to develop his own creativity and aesthetic potential. 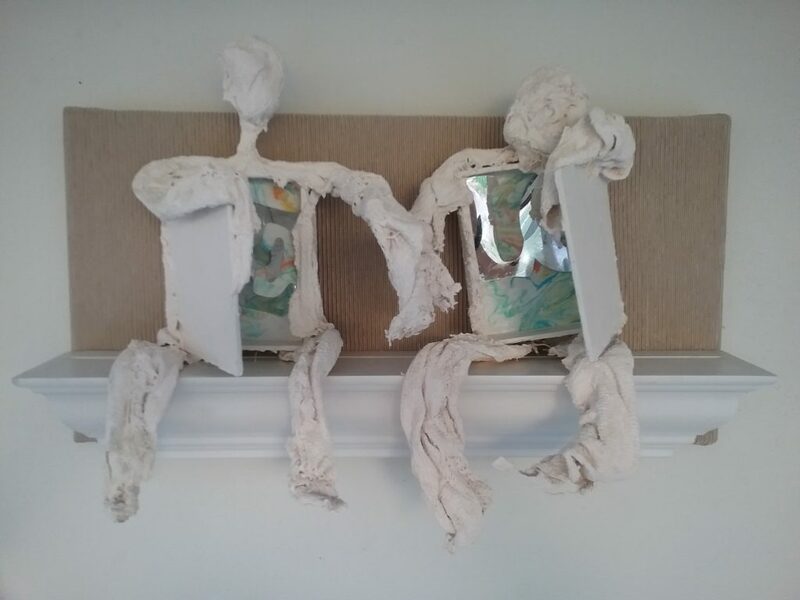 It is our purpose to strengthen the position of art education in Palm Beach County. We support programs in art, which meet the needs, interests and abilities of each individual student. 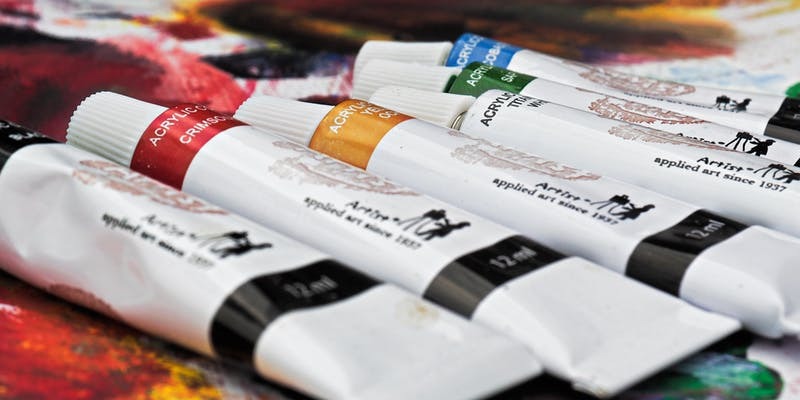 We will promote and maintain the highest quality of art education in Palm Beach County.